The last few months I have been talking about online dating. I fully support online dating and encourage remaining open to dating in the traditional ways as well. When you are dating, you need to be open and available for opportunity when it presents itself! Things may show up in your life in unexpected ways! I have talked about the advantages of online dating here and about preparing to start dating here. Now that you are ready to go online – what do you do? Create an online profile that describes yourself in an honest way. Pick some attractive yet honest pictures to upload. Feedback from a few trusted people may be helpful at this stage. You should be yourself and feel comfortable with your profile. It does not need to be perfect! Remember you can always go in and edit it! Sign up and explore the dating sites and services on their free trial offers and decide which feel comfortable to you. Spend the time to get familiar with how they work and experiment a bit. Ask friends about their experiences. A word on ‘free’ dating sites: I am sure there are some good people on free sites but I believe the saying “you get what you pay for” may be true when looking for date worthy material. Paying something tells you people are committed to online dating not just slightly interested. If you use a matching service, fill out the questions honestly and use your intuition. Do not overthink your answers! You want an honest match, not what you think you should be interested in! These services do filter things for you and potentially save you some awkward dates. They are only as good as the algorithms that run them so continue to trust your gut! A cautionary tale – check the details of what you are signing up for. Some services have different ‘levels’. ‘Intimate Encounters’ are quite different than ‘relationships’ or ‘dating’ and some people think they are signing up for one thing and then realize they did not read the details thoroughly enough! Entering an unintended relationship ‘level’ is usually a little discouraging so pay attention! When I was ready to go online, I set up a completely ‘invisible’ profile. This does not mean that I had no picture. It means that absolutely no one could see my profile or know I was even on the dating site until I gave them approval to view my profile. This had the added benefit of keeping nosy people from looking for your profile – I had plenty of friends say they had tried to “find me” just to check out my profile! None of their business unless I wanted their input! (If you are not ‘invisible’ you will not have control over who or how many people can see you.) Invisible profiles may not exist on some sites so ask a site administer if you cannot find this option and want this kind of profile. I did do this over 10 years ago, so I’m sure things have changed a lot and hopefully, the options have improved. I am all set up on a service – now what do I do? I started leisurely browsing – no rush – no deadline. Mr. Right would appear for me at some point. I took my time and I approved about 3 potential dating partners every weekend. This number to me was manageable and meant I never ran out of options. A word about geographic location. How far are you willing to go? This is usually something that you set up, so think about how far you are willing to travel to date. Set up a radius that you are comfortable with. There are people everywhere with the potential to be good matches for you so do not be afraid to limit this to simplify your life. I then started shifting through the profiles and allowing those I liked to see my profile. During the messaging stage I could sometimes immediately know they were not a good prospect and I would take them off my list. Not too much investment of time, energy, emotion or money, so no big loss. If they could not remember my real name – which I always sent in my initial message they were probably juggling too many conversations and I was not interested. If ‘recently separated” was only 5 days when I asked, they were not a candidate I was interested in at this time. If they could not remember what I said or what they told me already – they were not really paying attention and I was done with them. If they could not spell or use proper language I was not interested. With regular dating, sometimes you are much more invested before some of these simple things are apparent. This is a big advantage of online dating. No real personal investment or much emotion is put in until you know quite a bit about the person. We would usually talk on the phone and this was also a good filtering opportunity. Some chemistry doesn’t work on the phone so that was that. I never took too long to meet people in person if things were going well between us online. Physical attraction is usually either there or not, so it’s best to meet and see if sparks exist in person. It was usually a one-date test, and usually, we were mutually interested in another date or not. Physical attraction just cannot be faked. No sense wasting 6 months flirting online and then having it fall flat when there is no chemistry at your first meeting. Watch for red flags. At all the stages of online dating, red flags will tell you quite clearly when something is amiss if you are paying attention. If your gut is saying “NO” to dating someone LISTEN! Move on decisively and know something better is out there. If things are too good to be true – trust your gut. If things do not add up or if there appears to be any deception – trust your gut. Move on to something better. Always remember that it is better to be alone than be in a bad relationship. First, being in a bad relationship is just plain no fun and, secondly, you will not be paying attention or available when the right partner does come into your life. Be smart and stay safe. Meet in public places. Pay attention to what is going on around you. Tell people where you are going and how long you will be. Write all the details down and leave them with someone or somewhere obvious in case something goes wrong. Be yourself and choose to be picky. Do not settle unless it is a good match. Keep searching until you find what you are looking for like good values, chemistry, noand compatibility. If one date doesn’t pan out, go on to the next potential partner. Check out one profile at a time. Forget the others. All these relationships will either be a good experience or teach you something that is good to learn. If you are planning to spend the rest of your life with someone, you may as well enjoy the process and get what you really want. Trust that things will work out! Yes, some people lie or exaggerate their charms but when you do meet in person these things are usually obvious pretty quickly. Honesty is always the best policy! Yes, some married people may be on these sites falsely representing themselves. Pay attention. There are always clues. A friend had a date that kept excusing himself to talk on his phone and when she inquired if everything was alright he said his WIFE was upset and kept calling him! She left that date quickly! Google names and do a bit of research! Check out social media and be open to learning more about people. I actually had my own kid’s friends bring me a story home from school about someone I was dating, as someone’s mom had a bad experience with someone with the same name! When I inquired, it was confirmed! Thanks kids! Social interaction can always be interesting so enjoy these dates – both good and bad – they can teach you a lot about what you want and do not want in your life. They can teach you a lot about the process and what works for you. You can also learn a lot about yourself and what you truly value. These dates can also be pretty humorous! Treat people well and you will hopefully be treated well too. Enjoy this time of your life. The possibilities can be exciting. Enjoy being single! Remember you only need to find the ONE RIGHT ONE! Having trouble managing dating after your separation or divorce or just having trouble sorting out things during a separation? I can help and it would be an honour! I do offer a complimentary strategy session. Online dating and traditional dating can be discouraging if you are not ready. A little preparation makes it so much more manageable! There is no rush so please trust yourself and know that the timing will be right for you when you get there. #1 Are you ready to date? · Take an honest look and determine if you are ready to date. First, if you are just coming out of another relationship, take some time to heal and recover before you jump into the dating pool. There should be no time line or pressure to be dating, especially if you are not comfortable with it. I took dating completely off my ‘to do’ list for over a year and that helped me manage the overwhelm that came with the end of my long-term marriage. I took the time to heal and develop some healthy boundaries and set some life goals. Learn to enjoy some solitude before you try to fill up your emptiness with another relationship. If you are not healed from previous trauma, you end up carrying baggage into your next relationship. I really believe needy people attract other needy people. If you want to attract a great partner with little baggage you have to be healed and ready to be great dating material yourself! Plan to be confident, content and not feeling desperate when you start dating! We all have a bit of emotional baggage but get it out and have a good look at it. Can you lighten what you are carrying and repack into a smaller bag? I really suggest that you take the time to heal and get an understanding of what ended your last relationship, what you want and do not want, before you dive into the dating pool. When you start to enjoy being on your own you are probably ready to date! #2 What exactly are you looking for in a partner? · Get very clear on whom you want as a partner. Write out your ‘dream partner’ must have list and be picky and demanding! This is a critical step. List every aspect you want in a partner in a POSITIVE way! Here are some things you may want to think about. Not all will be important to everyone but, if they are important to you, think it through and write it down! What age range is acceptable? Do you want them to have kids? How many kids are okay? How do they treat their ex-partners if they have any? What hobbies and sports do they enjoy? Do they like to travel or are they a homebody? When your list is very specific and positive, you are ready to date. #3 What kind of partner do you deserve to be with? · Be realistic about your goals and examine your limiting beliefs around dating and what you deserve. No one is perfect so be realistic on your partner ‘want list’ and know that you will have to be what is on their ‘want list’ to actually get what you ‘want’ so step up and be your best possible yet true self. Next, take a good look at any beliefs that are limiting you. So often we have false beliefs that hold us back. These ideas that exist in our heads almost unconsciously need to be pulled up, carefully looked at and corrected. Do you think you always attract needy alcoholics? Look at yourself and what you believe and get clear on what you actually do deserve. Write out that list too and convince yourself that your list is achievable. When you believe you deserve a great partner you are ready to date. Please contact me. I do offer a free strategy session. Pam Mirehouse The Divorce Coach in Dundas. Online dating has revolutionized matchmaking and is a fantastic option available to us today. 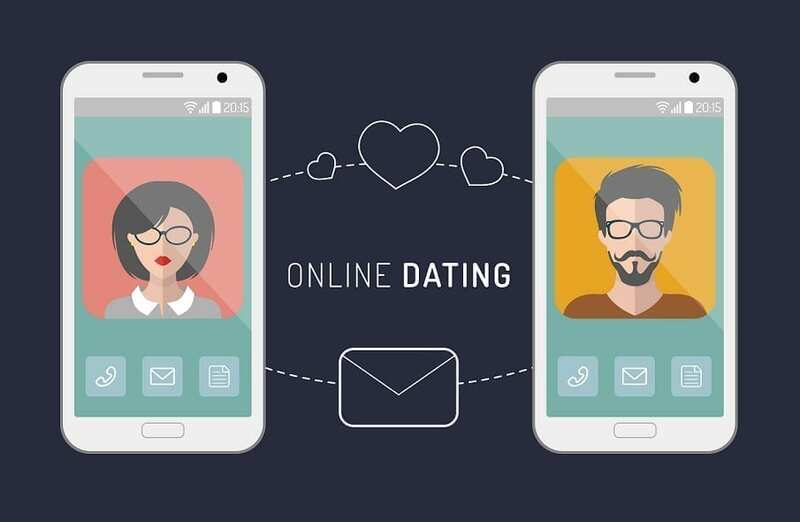 If we end up single, especially later in life, online dating has lots of advantages for solving the problem of meeting prospective partners. I was nervous, excited and terrified about the prospects of re-entering the dating pool. I had not been on a date for close to 25 years when I began to wet my toes and check out how online dating worked. I am happy to say I successfully found true love in cyberspace. It took patience and perseverance, but it worked well for me. I signed up for a couple of different services, one at a time, and figured out how they worked. I made contact with a variety of potential partners, met and dated some of them, and eventually met my Prince Charming. We will be celebrating 10 years together this coming spring! I highly recommend trying online dating – What have you got to lose? You get to meet people that you would never normally see as they travel in totally different circles than you do. This can be fun and you can learn a lot of new things. You get to specify exactly what you are looking for in a partner with criteria like distance and age. This immediately narrows down the prospects to fewer people which hopefully are much more likely possibilities. You can use a service that will help you find your most compatible matches that you will be more comfortable with. This service, if done well, can help you avoid many mismatched and awkward dates. Browsing people’s profiles online is fun. It is kind of like getting the wish list catalogue and pouring over the possibilities. Screening the profiles is an easy way to filter potential partners before you meet with anyone online or in person. If you don’t like the way they look, write, or what they post, you don’t need to spend further time on them. Communicating with people online for a bit was helpful as it further narrowed down my dating choices. Those that forgot my real name or could not remember details were obviously talking to too many others and I was not interested. Recently separated people that, after inquiry, had only been separated 5 days, were also crossed off my list. There are lots of ways to narrow your choices down. If in doubt, cross it out. Once you’re on a ‘real’ name basis, check them out with search engines and in social media – Google, LinkedIn and Facebook can give you a lot of information if you look for it. When you are ready to meet someone in person, there is not a lot of investment if you are not interested after your first meeting. I found chemistry was either there or not in person, so it was always an easy decision to have a second date or not. Interestingly, it was usually a mutual decision. You can meet some interesting people and get to know yourself better as well. As you become more comfortable dating and more secure in what you want and don’t want, you become more confident in your decisions. Going out on dates is always an adventure and it can help you accumulate some amazing and unbelievable stories to entertain your friends. You can take as much time as you want and keep high standards. There is no rush! You can actually find the perfect partner and spend the rest of your life together! Now that is a really nice advantage! I know I never would have met my partner any other way! I found dating online was a great way to meet many possible partners fairly easily and it was not too expensive. I never felt stuck or pressured because I always had more options I could review and I could pause the entire process whenever I wanted to. I had fun and enjoyed spending time in the process. I was always careful, stayed safe and listened to my heart, my gut and my head. When I saw red flags, I learned to move on quickly. I remained authentic and comfortable and I when I found my one and only we immediately had an interesting story on how we met! Having trouble managing your separation and divorce? Want to talk about getting back into the dating scene? I can help.